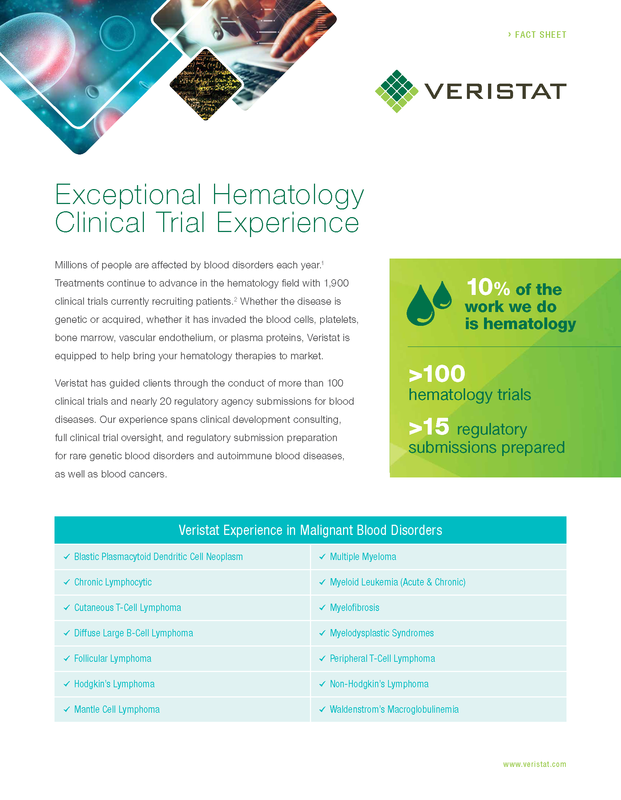 Veristat's hematology experience spans clinical development consulting, full clinical trial oversight, and regulatory submission preparation for rare genetic blood disorders and autoimmune blood diseases as well as blood cancers. Read our fact sheet to learn more about our experience in running successful hematology clinical trials for both malignant and non-malignant blood disorders. Please fill out this form to access your resource.